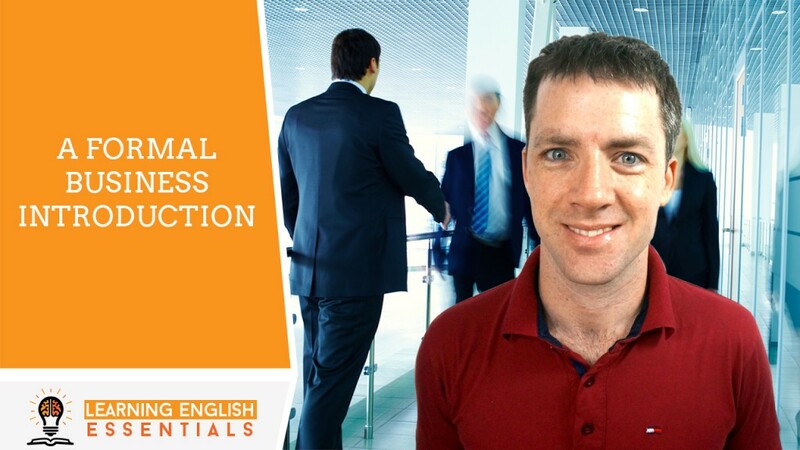 In this video of the English Conversation Topics series, I will take you through a common English conversation for an introduction in a business setting. A: Hello, my name is David. B: Hello David, I’m Christopher. A: Nice to meet you Christopher. B: What do you do for work David? 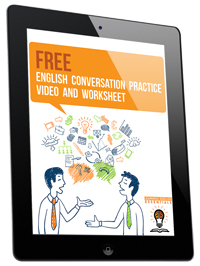 A: I am an English Teacher and I help students learn English quickly, easily and without overwhelm. How about you Christopher? What do you do? B: I am a Business consultant. I help businesses increase their profits by creating efficient systems and processes. A: Wow. That sounds interesting! B: Where do you teach David? A: I teach students online and my students are all over the world. B: How long have you been doing that for? A: I have been teaching for 3 years now. How about you? Where are you based? B: I am from the United States. Currently I am living in Saigon, Vietnam. My clients are also based all over the world. Most of them are in the United States. A: Do you have a Business card? I’d like to contact you to help me with my business. B: Sure! Let’s have a conversation and see if we can work together. Give me your card also. If any of my clients are looking to improve their English I will send them your contact information. A: I appreciate that very much Christopher. It was great to meet you. B: Likewise, I will send you an email so we can arrange a time to talk more. A: Thank you. Take care.